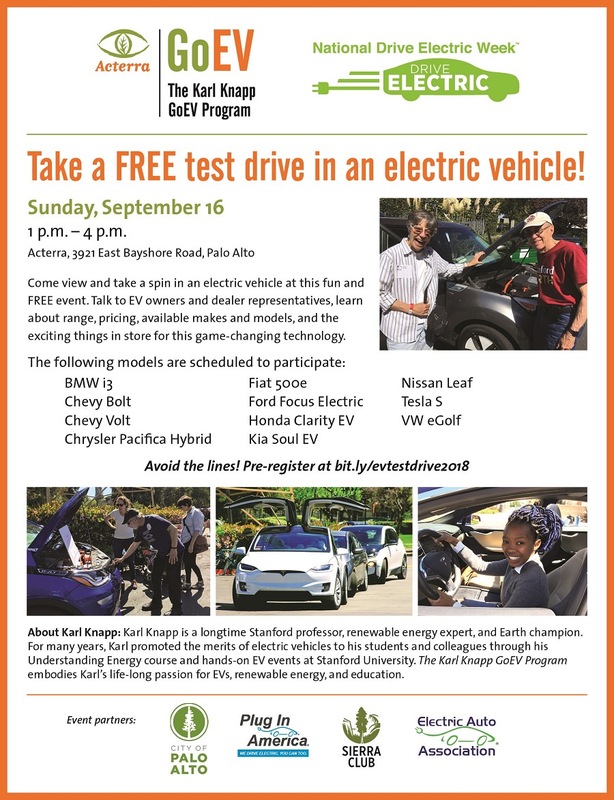 On Sunday, September 16, 2018, Acterra gave over 520 EV test drives at its third annual National Drive Electric Week event: Ride, Drive, and Be Green! Over 360 potential adopters, EV owners, and volunteers converged to share and receive information about electric vehicles, charging, leasing/buying, and living the “EV lifestyle.” EV Ambassadors and local dealers provided 70 vehicles, representing 17 makes and models, for viewing and test driving. Post-survey results indicate that attendees increased their willingness to consider an electric vehicle for their next car purchase as a result of participating in the event. 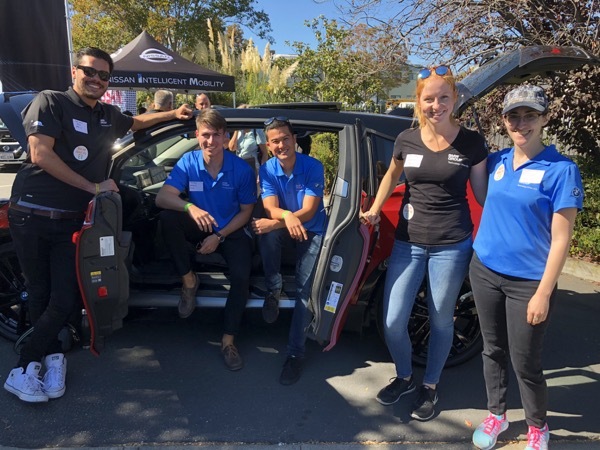 After providing this positive, hands-on, up close experience for potential adopters, we expect to see many new EVs on Bay Area roads in the coming months! After the test drives, Acterra hosted a launch party for it's newly renamed Karl Knapp GoEV Program, honoring longtime EV advocate, educator, and Earth champion, Karl Knapp. Attendees learned about the exciting activities in store for the coming year while photographing and videotaping congratulatory messages to Karl, who has ALS and was not able to attend. Staff from BMW Group's USA Technology Office pose in front of a sporty red i3, one of four vehicles BMW provided for this event. There are currently 202 attendees registered. Registered attendees report 1,389,291 electric miles driven.